Dixon Bay WMA is composed of 300 acres of hardwood and pine in Georgia's coastal plain region. Hunting opportunities include deer, turkey and small game. Managed for early successional habitat with emphasis on bobwhite quail, Di-Lane WMA is 8,100 acres of federally owned land. Open to seasonal hunting, outdoor enthusiasts can find plenty to do on this WMA. Hunting opportunities include deer, turkey, small game and furbearers, dove, quail and waterfowl. Sitting on a whopping 14,000 acres, Bullard Creek WMA provides visitors with an array of activities ranging from hunting to horseback riding. Situated in Georgia's coastal plains, Bullard Creek is a beautiful site for all to enjoy. This WMA provides hunting opportunities for deer, turkey and small game. The Big Hammock Wildlife Management Area encompasses 7,221 acres of state-owned property. Hunting opportunities include deer, turkey and small game. This WMA consists of approximately 100 acres of wildlife openings, 1,121 acres of upland hardwood hammock, and 6,000 acres of bottomland hardwood and cypress forest. Big Dukes Pond WMA is a conservation area situated on 1,692 acres of coastal plain with a Carolina bay near Millen. This WMA offers hunting opportunities for deer, turkey, small game and waterfowl. No camping is allowed on the property. Horses and ATVs are also prohibited. Beaverdam Wildlife Management Area, located approximately 12.5 miles north of Dublin, offers visitors a wide variety of outdoor activities from hunting to camping. Hunting opportunities include deer, turkey and small game. With 5,500 acres of upland pine, mixed pine hardwoods and bottomland hardwood forests, this site is a great location for all! Located on 1,351 acres, Paradise PFA boasts 68 lakes totaling about 525 acres. The area is intensively managed for all outdoor enthusiasts and allows anglers to enjoy their day of fishing from boat or land. Fish species include largemouth bass, bluegill, redear sunfish, channel catfish, crappie and brown bullhead. New! Catch a big fish at a Public Fishing Area and you may be eligible for an Angler Award or even a PFA Record award. Learn more about Angler Awards. 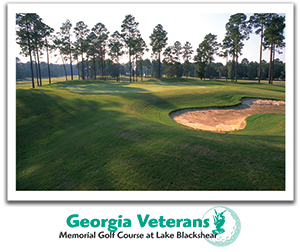 Ocmulgee PFA offers a 106-acre lake that is intensively managed to provide the optimum environment for anglers. Whether you're fishing from the bank or from a boat, the lake provides an abundance of crappie, largemouth bass, bluegill, white crappie, and redear sunfish.